The United States will immediately take several key actions involving U.S. funding in response to Uganda’s anti-gay law, multiple sources on and off of Capitol Hill told BuzzFeed. Third, because any LGBT person or LGBT ally who now enters Uganda is at risk, money intended for tourism programs will be redirected. “Therefore, approximately $3 million in funding designated for tourism and biodiversity promotion will be redirected to NGOs working on biodiversity protection,” Lalley said. 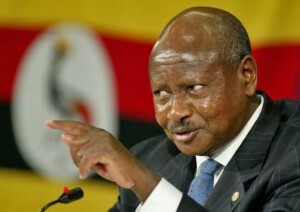 Ugandan President Yoweri Museveni previously has suggested that his country doesn’t need financial aid from the West. We will see how that belief holds up now that the money is drying up.